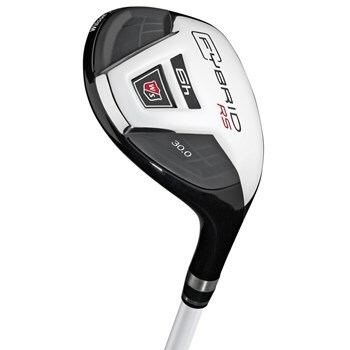 The Wilson Staff FYbrid RS is designed for a simpler club selection, and replacements for hard-to-hit long irons. The FYbrid fairway woods, the FYbrid fairway bridge, and the FYbrid hybrid utility clubs, all feature a unique "Rocker Sole". The face has a rounded sole profile that helps to create even symmetry at address to helping to identify the ideal impact area. By removing material near the toe and hosel, FYbrid allows maximum flexibility in a variety of lies and minimal turf interaction on uneven surfaces.